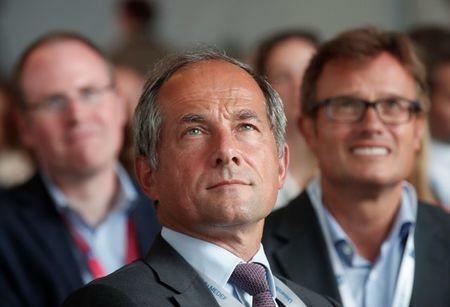 PARIS (Reuters) - The chief executive of French bank Societe Generale has canceled his attendance at a Saudi Arabia investment conference, as leading business executives pull out amid widespread concern about the fate of a Saudi journalist. The withdrawal of SocGen's CEO Frederic Oudea was confirmed by a spokesman for the French bank on Wednesday, and came a day after BNP Paribas Chairman Jean Lemierre had also canceled his attendance at this month's conference in Riyadh. The disappearance of journalist Jamal Khashoggi has led to widespread concerns in diplomatic and political circles.